US has dozens of closest allies. With all of America's friends punching above their weight, it's no wonder the economy is floating along on hot air. Someone needs new script writers in the White House. I like some of these investigative programmes that are popping up on public TV stations, and the fact that they are finding way to build audiences outside their own country. Denmarks Radio did it with this story. Shame that a show on Dutch TV called the Rekenkamer only deals with very domestic financial scandals. Two things clear on my trips round the London transport system this week. 1. That the Brits really know how to get a message across on transport systems. I get mentally refreshed by the ads in the Tube. They're funny and memorable. Bit surprised at the money Freeview has spent on advising people they need to retune their sets. Buses..OK. But plastering the ticket barriers on the Underground must be a waste of money. You come in from the light outside and you don't see anything at all - even though the message is bright pink. 2. Got stranded by a Tube failure just North of Wimbledon on Monday afternoon. System on the District Line suspended for several hours because of a signal failure. The LT transport staff had no clue what to advise passengers, except to say that there were buses to Putney Bridge outside - i.e. on your own mate! Will they have plans to make sure this doesn't happen during the London Olympics? How will they keep London moving? If the posters are anything to go by, they're in for a long hot (and at least dry) summer. Enjoyed speaking with Lydia Ofori at the recent VC4Africa meet up in Tech City, near Old Street, London. There's a brief report here. More coming soon. Former director of Al Jazeera highlights the challenge facing broadcasters and journalists in the Arab world. He was speaking at the Guardian conference in London last week. I would argue that this applies to journalism everywhere. The challenge is that there are too few organisations supporting the development (and careers) of investigative journalists. Drag and drop journalists are two a penny - they already have it tough or have gone off to shill for a PR agency. The good news is that tools are becoming available to empower groups of journalists to form on-line agencies. It's working in some areas of tech and the arts. I believe it could work elsewhere too. Interested? Get in touch. Makes me curious as to what Wadah will do next. Start a training school or a new bureau of investigation? Apple Store Leidseplein, a photo by Jonathan Marks on Flickr. Wow - what a transformation! The photo above was taken in November last year. The black hoarding was there for most of 2011. Until now. The old Hirsch building, which used to house the finest fashions in Europe has been transformed into what is one of the most beautiful Apple stores on the planet. It works because of the use of daylight right in the centre of the building, although Apple apparently had to argue with all sorts of local authorities in order to make these alterations to the building. But I am glad they persisted. It is beautiful. The local free newspaper carried an article yesterday about how a Dutch based creative leadership school called THNK is trying to train leaders of creative companies to think like Steve Jobs. Hold the course in a place like this and you begin to understand why. The RadioDays podcast from Trevor Dann works because in half an hour you get a flavour of the issues discussed in Spain. But I am afraid the video below doesn't work for me. It's another event video with people drinking and not saying much that's useful. Opening receptions are networking moments, not the place for documentaries. Who is next at the top of the Beeb? And they're off. Place your bets please. 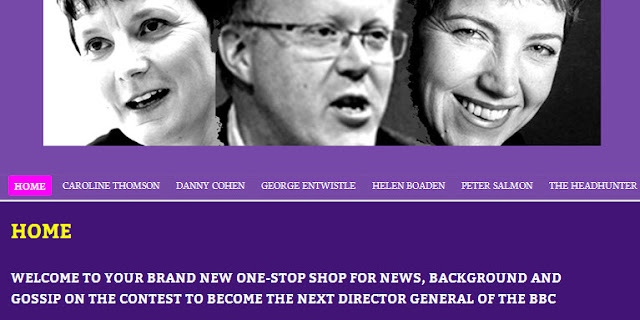 BBC DG Sweepstakes site is brilliant. As of today, this seems to be the list of favourites. Glad to see Caroline Thomson up there. I know that Tech City in London has come under fire for hyping its success. Those stories last year about 600 companies joining the Silicon Roundabout were definitely over the top. The Register was the first to spill the beans, questioning why 50,000 had been spent on a rather simple Wordpress website and noting that tons of money were being spent on food, drink and events without really quantifying whether this is doing much to help the start-ups it is supposed to help. The PR machine has cost the UK Taxpayer around 1.79 million, with a lot of that going into the coffers of "business specialists". The taxpayer-funded quango given the job of rebranding and promoting the nontrepreneurs of Shoreditch has blown through £1m on admin costs alone in 2011. 'Tech City' is the brainchild of No.10 special advisor Rohan Silva. It's also the name of the eponymous unit within UKTI, a taxpayer-funded quango, that's been set up to promote 'Silicon Roundabout' web companies. UKTI has refused requests to reveal the costs of the vanity venture, and the salaries of those involved. Now, thanks to a FOIA request from Milo Yiannopolous we know some budget details....Marketing has cost £150,000 and "events and other promotional activities" £250,000.....And some FOIA requests were refused flat out: PA Consulting and Grant Thornton declined to reveal salaries of their consultants and BIS refused to disclose the salary of Eric Van der Kleij, the "CEO" of Tech City. Tech City has already come under fire for spending almost £50,000 on a basic Wordpress blog and getting things seriously wrong on its map of the area. Also for claiming that 400 new tech firms have launched in the area - but using a definition of "tech firm" that includes clothes shops, law firms, dance studios and marketing agencies. I note that Wired UK picked up on the issue today. What struck me was poor way in which the TechCity machine is able to work WITH local entrepreneurs rather than for them. I'm afraid some of these inflated figures and claims quoted in the Register on the UK pale by comparison with other cities in Europe like Amsterdam. They also seem to be living the fantasy that they are a creative city on par with Silicon Valley or the SxSW Convention in Austin, Texas. I firmly believe that government and innovation don't mix very well. City councils are busy gathering local votes and financial support. 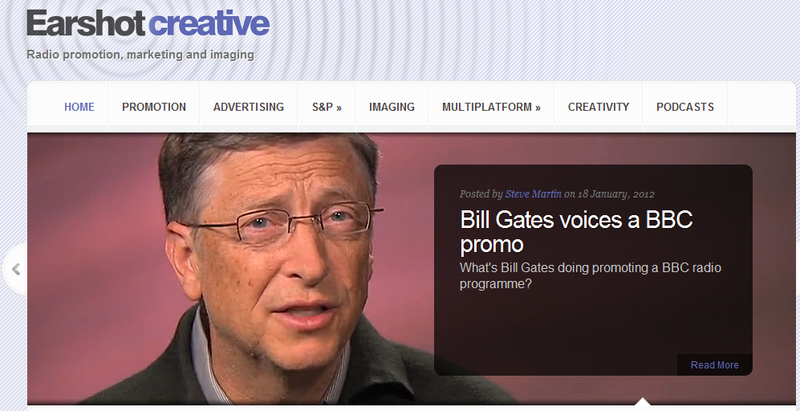 They are rarely looking at the challenge of promoting their place in the creative economy from the outside looking in. So they often don't know or care how foreign investors see them when compared to other European cities. When it comes to design, architecture, and some types of fashion there's no doubt that the Netherlands is world class. But the really innovative firms like Northern Light that are busy building incredible things in the great cities of the world have not waited for the City of Amsterdam to organize a entrepreneurs' fair to make it happen. They just do it. In the last six months, I have attended several events in the Netherlands on behalf of foreign analysts and funds seriously interested in how creative cities are positioning themselves. They are looking for local entrepreneurs operating in media sector. In the case of Amsterdam, I've been horrified at the waste of time and effort, all done with an air of self congratulation. The problem is that since the investigative journalism sector in the Netherlands is so small as to be insignificant, the nonsense presented in propaganda videos like this one below are not being challenged. There are some exceptions, like KRO's The Accounting Room which does do some investigative reporting. But it's rarely an international issue that can be sold-on at a fair like MIP-TV. Others have reported on huge ICT failures like Diginotar in the Dutch public sector which have been quietly swept under the carpet. But when it comes to creative industries, the slow collapse of important parts of the media sector is largely ignored. Contrary to the PR video above, there's massive downsizing going on across both public and commercial companies, especially in the area of factual information production. I find the analogy of the spinning top to be rather ironic. A top works fine at the start, but it doesn't take long for it to keel over and stop. It's not sustainable. Note that the video doesn't go into much detail about what the 6000 (!) companies in the Amsterdam region has supposedly committed to innovation. It's not clear what percentage is in the creative sector, nor how they can justify their claim of being one of the top "5 creative hotspots in the world". I am sure that "2500 jobs" must include a lot of volunteer and short-term work-experience positions which are poorly paid and don't encourage people to stay in the respective sector. Compare this to the London TechCity promotions and it makes me cringe! I was commissioned to wander around the AIM Event at the Amsterdam Convention Factory yesterday and compare it to events in other cities. I came away very disappointed. It was very similar to the windswept Marketplace at Picnic last year. Out of dozens of stalls, I counted no more than 4 companies there who had international potential, and were even slightly interested in pitching to foreign investors. The majority were Dutch versions of ideas seen elsewhere and the emphasis is clearly on setting up shops of some kind. Very little of it was based on understanding what people need, either in the Amsterdam area or much further afield. My report back to the foreign investors - it's a sea of nontrepreneurs here. You're better off in Berlin or Paris. AIM is not Le Web or SxSW by any stretch of the imagination. The huge "for rent" sign on offices right next door to the Convention factory are stark reminder that things are tanking rather than taking off. I have far more respect for small organisations who are focussing on understanding the needs of their market and coming up with innovative, clear and sustainable solutions. They exist in the Netherlands. But they have already realized that the Dutch domestic market is far too small for world-changing ideas. As long as the City of Amsterdam remains so inward looking it will always rank as a mediocre also ran, no matter how much public money it throws at "innovation". And quit making these nonsense PR videos which convince no-one. Over the past few years I have digitized hundreds of Media Network radio shows, a weekly radio show I produced and presented in the period August 7th 1980 to 26th October 2000. It doesn't seem like over 11 years since I was behind the microphone at Radio Netherlands. 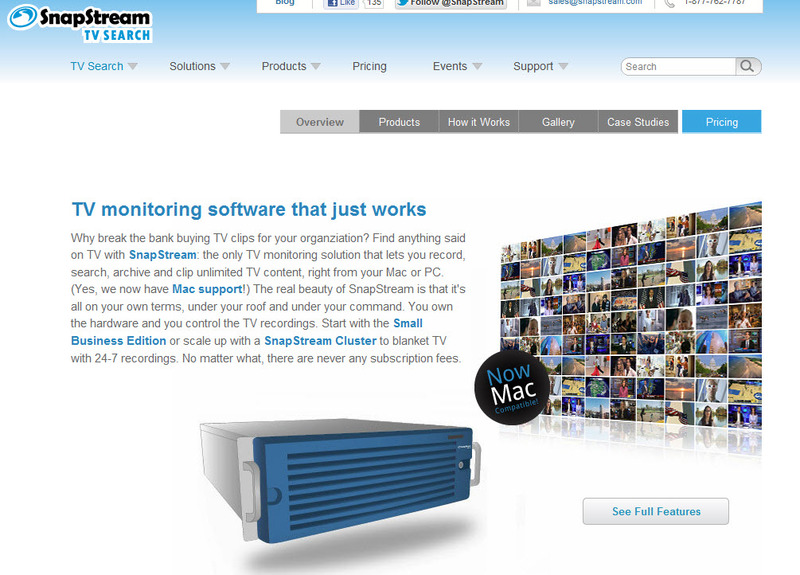 It is simply for a bit of fun - and acts as a resource for those investigating what's changed in the broadcast media. The 1000th edition of Media Network was broadcast at the start of March 2000. We used the programme to share some of the behind the scene stories and celebrate anecodotes with our contributors. And there are plenty of memories from the loyal audience too. Enjoy! The penultimate edition of Media Network contained extracts from WRUL/WNYW with Lou Josephs, and the Radio Prague story 1945/1968. We were celebrating the strength of the documentaries. The final Media Network audio show of all was broadcast in October 2000 just before we went back to winter time. It was really a thank you to the audience for sharing so much time with us over two decades. We certainly had worked out the pace of the programme by that time - and we believe its strength was that it was a true listener participation show. This final programme contains a rather comprehensive survey of the media events surrounding the Falklands Malvinas conflict of April 1982. Remember Radio Atlantico del Sur? We also looked at black propaganda stations in Asia, notably those along the Soviet-Chinese border. Also just added is the very first edition of DX Jukebox that I presented on 7 August 1980 - just 48 hours after he arrived in the Netherlands. Not the most exciting programme I ever made, but it shows that what we came from as the programme morphed into Media Network. To hear/download these shows again in studio quality MP3 visit the Media Network Vintage Vault. Guardian reporting this evening that BBC DG Mark Thompson is suggesting that BBC programmes will be downloadable shortly after transmission for around 2 Euro. No start date given. I wonder if the code name Project Barcelona is a reference to talks at the Mobile World Congress where this has been hinted at in the past. How do they pick those highlights? So how do to topical talk-shows get those clips from news shows? In Holland, the public broadcaster VARA has what they call a Zap Service in the Paul and Witteman talk show. Seem they do it by having people watch the TV all evening in the hope of coming up with something. That explains why it is often very hit and miss. Whereas in the US, shows like The Daily Show use a special server and video search software to find exactly where in the transmission something was said. Does it work better? Yes, it's a breeze. Also for media companies paid to check whether commercials were broadcast when they said they were. It seems to be the fashion to look back at early video of radio production at the moment. Ten years ago I was experimenting with video by making a mini-documentary about recording jingles for a show called Europarade which ran for many years on Radio Netherlands. This set of jingles were recorded at Top Format's studios in Haarlem. I guess little has changed in the way things are done. Just styles and recording techniques. Definitely my video of the day. Done by filmaker Casey Neistat who steals his own bike, in various ways, to see whether ANYONE would intervene. You can guess what happened. Great sketch proving the German's do have a sense of humour. DW should use it for German classes. YouTube is becoming the video documentation centre for the gradual demise of international radio broadcasting. If true, well done Mashable. Hope CNN doesn't do to Mashable what AOL did to Techcrunch. Wow, the SIMS game is starting to take on a new level of reality. Not the digital dolls house of a few years back. Haven't seen this sign in Amsterdam before. It appears several times on the walkway besides the canal. There are only residential houses and offices in the vicinty of Heemstedestraat Metro - not a pub in site. But I wonder if the reason for the sign is obvious - and if it is ever enforced? I'm currently experimenting with various curation tools as I look into practical ways authors can share ideas in a second-screen world. Just looking at the exponential growth of YouTube, you can see there's a market for building channels of curated content. They use relevant content (which may be audio, video or text) mixing material they create themselves with content they get from the net. That's why the best coverage of the iPad announcement didn't come from the tweeters inside the Apple press launch (who only had time to repeat the headlines from what Apple was telling them on the stage). Channels like This Week in Tech watched the event from a distance, and mixed that with considered analysis from people I respect. Broadcasters are having the hardest time understanding that they need to do more WITH the audience than for them. There are lots of people trying to figure this out in the news sector, whether it be TV, on-line or radio. Most of this is still dominated by the people who are connected with rolling news networks where the definition of success is still that they were first. I am more interested in the future of factual features, working with investigative journalists who are trying to share clearer stories, curating thoughts into a compelling narrative. At this weekends SxSW, I bumped into a talk by Steve Rosenbaum, who was marketing his book "Curation Nation". Actually what he's doing is advising people on how to curate and share clearer stories. His TEDx talk last year turns out to be a concise summary of what he is up to. I am currently on a quest to find people in Europe who want to do the same. It's concise storytelling, but then using relevant platforms. It's challenging because the tendency in Europe is for people to make bad copies of ideas they see coming out of the US or Israel. The VC's are almost always focused on building shops of some kind. I'm more interested in building channels where people share ideas worth doing. Excuse Me, I wish to register a complaint! 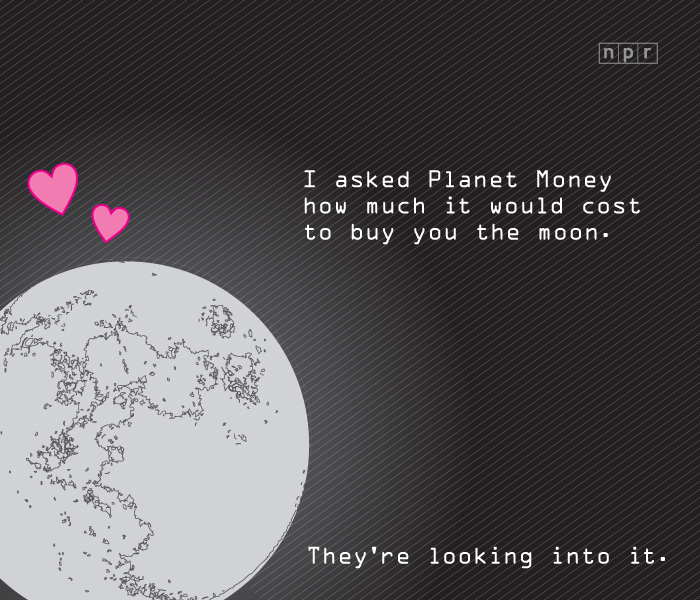 Complaining to a public broadcaster. 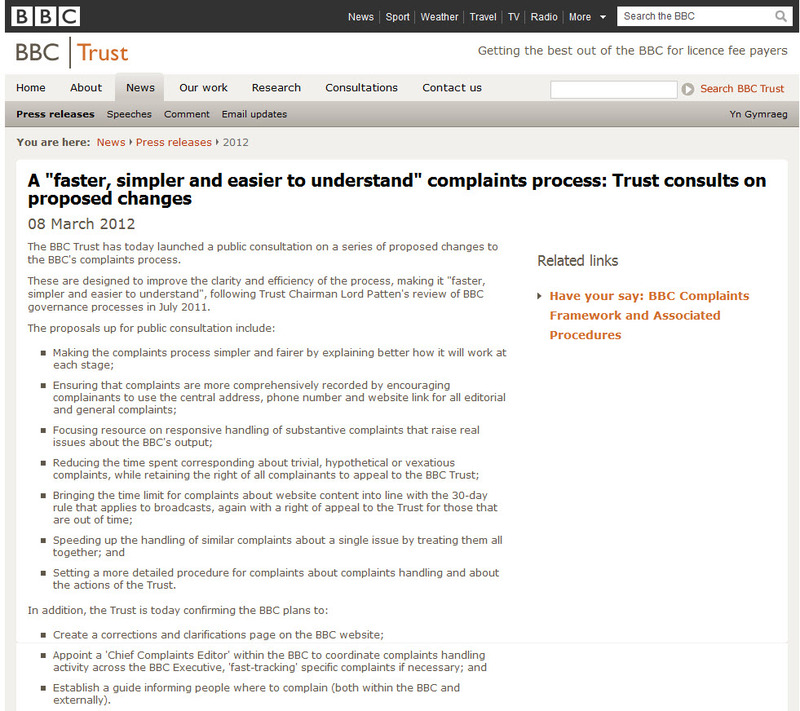 Interesting to see the latest consultancy by the BBC Trust into ways to simplify the complaints procedure. I think they should adopt something similar to the http://www.whatdotheyknow.com/ website or the Feedback programmes that run on BBC Radio 4 and BBC World Service (i.e. produced by an independent company). 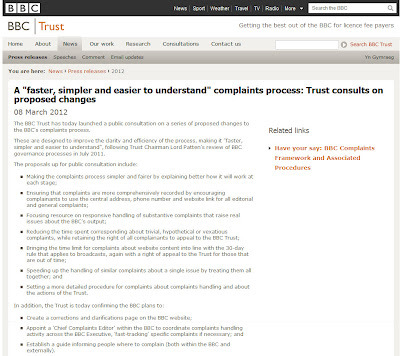 That means that complaints can be seen by the public - and the answer by those responsible in the BBC. Yes, you would need a moderator to keep out the YouTube style trash but there are ways to do this. 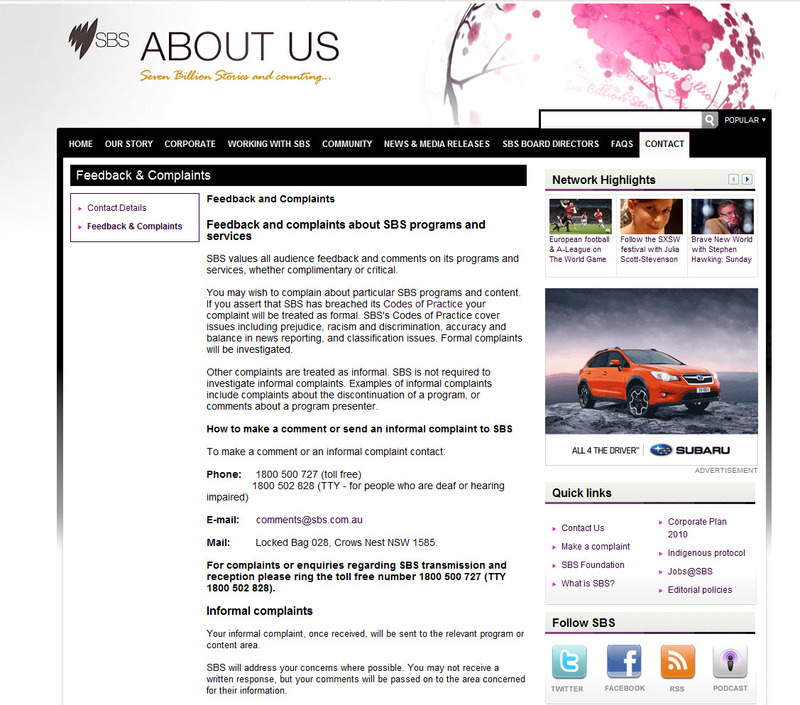 I like the way SBS in Australia separates formal from informal complaints. BBC scould do well to listen to their colleagues. And also heed the warnings from countries where they have dumped their ombudsman at the public broadcaster. That includes the Netherlands where we have, in effect, government pay TV. Most of the broadcasters are listening to the politicians rather than the public...but that's another story. The KONY viral video on Kony2012 is fascinating from a stand-point of a social media publicity campaign. 65 million views on YouTube and counting. I am sure that both politicians and broadcasters are taking note, especially as the documentary material is not new. Only the context has changed. But what's the full story? And why now? And is there a connection to the recent finds of large deposits of gas and oil in Uganda? May be Dutch freelance documentary maker Ruud Elmendorp can shed light on the situation. He was one of the last journalists to cover the peace talks in 2006. No doubt NS (Dutch railways) is giving a full refund to CBS Outdoor advertising and a local Hilversum temping agency while they hide their billboards during remodelling work at Hilversum station. Wonder if they even know? Just why they need to build barriers when the RFID card readers are already in place is baffling? I note that the old KRO studios in Hilversum (from where Radio Netherlands used to do it's weekly audience participation programmes in the 1950's) are up for sale. Apparently someone is turning them into apartments. I'd want my bed in Master Control. 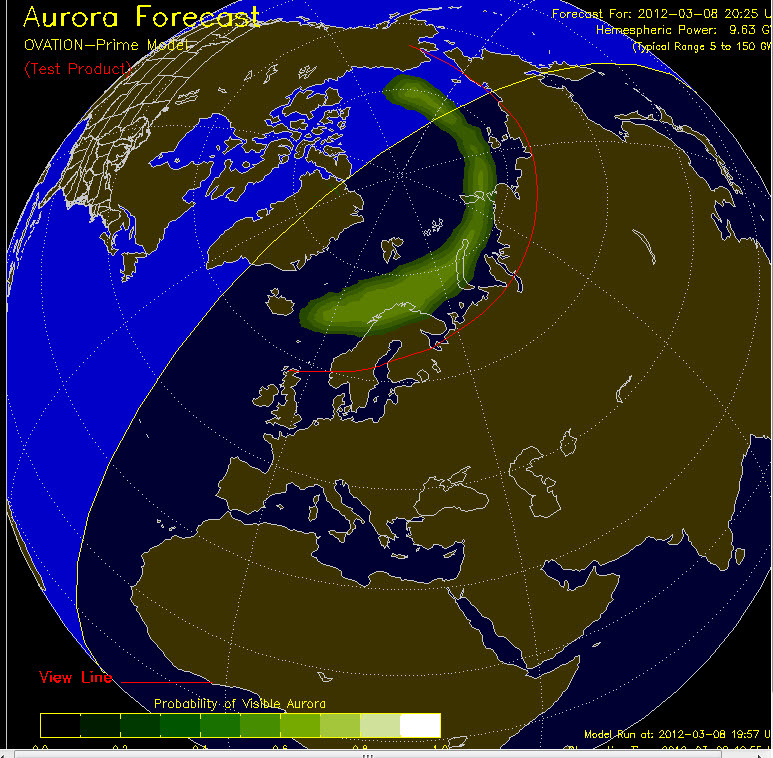 We're going to see the Northern Lights tonight, at least according to the NOS weather service. NASA's new red line system thinks that might be unlikely this far South. Will have to check later. Like the improved system thoguh from NASA. Thanks to Lou Josephs for the tip. Media Network web editor Andy Sennitt announced late this afternoon that their international media news blog is closing down as of Saturday March 24th 2012. Andy is retiring. Radio Nederland Wereldomroep (Radio Netherlands Worldwide) is heading off in a very different direction in the future. So it makes sense to bow out knowing that a job has been well done. Several thousand people a week have relied on Andy’s sharp eye in spotting international media developments and their implications for those who work in the business of international story-telling. I understand the plan is to keep it online as a reference, since it’s a searchable record of media stories over the last decade that has more than academic value. That’s good news. I hope you’ll join me in thanking Andy for great time and effort he put into editing the on-line version of Media Network. There are over 15,000 stories on the blog going back to October 2003 and he’s continued the tradition of international media reporting in fine style. That can only come from someone who is fascinated by the medium – it’s not a job – it’s a passion. As you can hear in the Media Network vintage radio archive, Andy was a regular contributor from the very start of the programme in 1981. I particularly remember that show we did about the offshore radio days. Andy has spent his career following the media, especially radio. He worked for BBC Monitoring in Caversham Park, UK as well as becoming Editor of the World Radio TV Handbook in Denmark. He moved the HQ of the WRTH to Amsterdam and Diana Janssen recruited him to work on a web-version of the radio programme. It’s not going to be possible to replace the Media Network news blog. But I will increase the frequency and focus of this Critical Distance blog to include more international media stories. I have been playing around with the Storyful platform, which allows you to mix video and audio clips to add to the traditional text and photos. So if you’re interested to follow what we get up to, visit this blog, subscribe and contribute to the next stage of the journey. We’re also on Facebook and Google+. I hope we can persuade Andy to drop by from time to time. But for now, Andy we salute you. Big time! What message are the spin-doctors in the Hague trying to send as we keep seeing Prime Minister Rutte cycling to and from the Netherlands crisis budget talks? More billions are coming off next years budget and I wonder if it is hasn't already gone into catastrophic decline. How do pictures like this inspire confidence from foreign investors or the ratings agencies? Will this country get downgraded like France. It wouldn't surprise me. The figures this morning from the Government Central Statistics Bureau show a major difference between consumer confidence in this country and elsewhere. Having just been down to the financial district of Amsterdam this morning, I was amazed to see building work still going on. More empty office space. Madness! Slick, advert for the Guardian. Nicely done. Must have cost a fortune. They must have done this one without the citizens. Ipad (3) - HD camera on the fly? 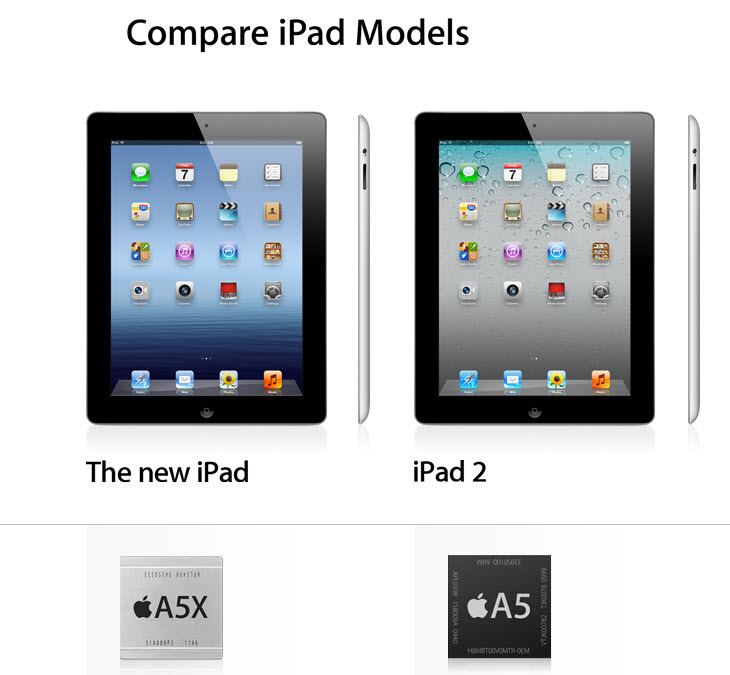 My iPad2 just got 100 bucks cheaper as Apple launched the third generation of its popular iPad. 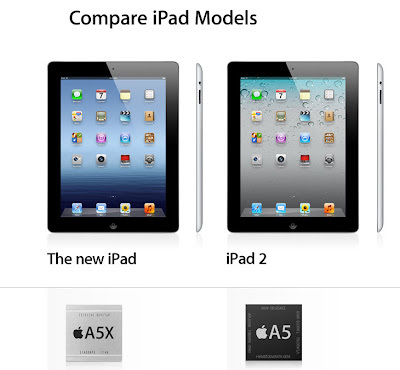 It's just called the iPad, but I am sure the people in the Apple store will ensure that you buy the new one. I'm interested in the new iMovie app, since the camera and screen resolution on the new iPad make it an interesting field device for reporters. 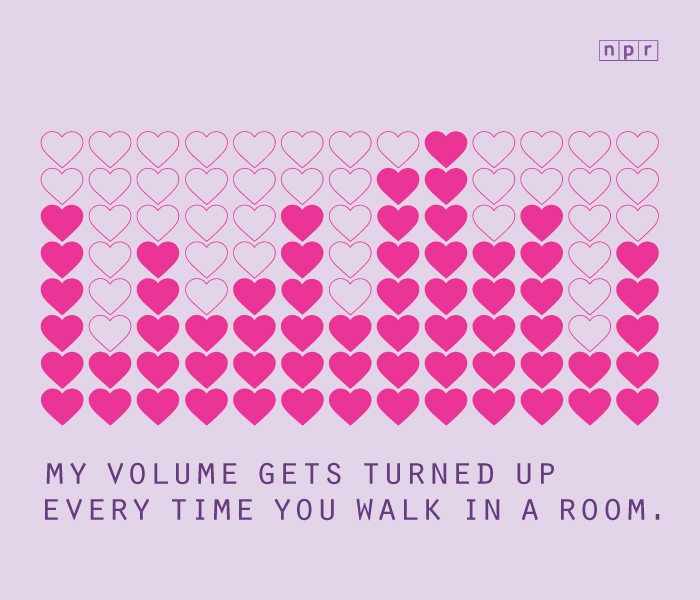 But what about the sound? Curious. Watched the coverage live on twit.tv with Leo Laporte and his team of analysts. They got most of the predictions right, though everyone was surprised by the name. And the Apple store crashed for ages after the new iPad was announced. I guess we'll never know how many people tried to pre-order it. But there can't be many devices costing 500 US dollars that have done so well so quickly. But while I like the iPad as a player of content, I still prefer a MacBook for creation (especially video production) and I'd be annoyed if the different windows went away. 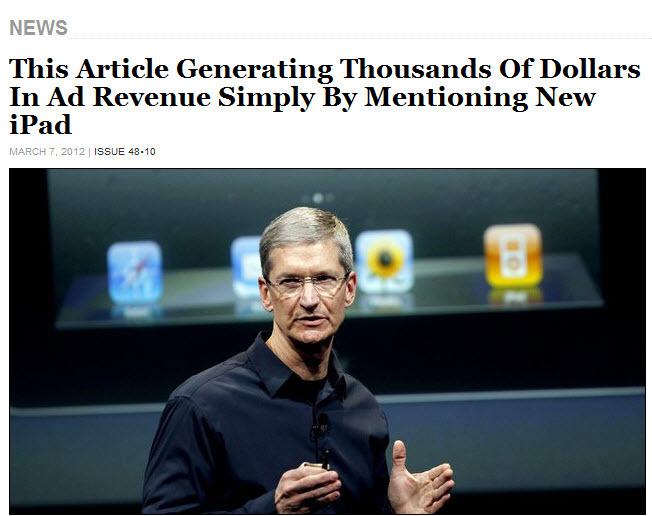 The Onion also had the best idea to cash in on the traffic. Just be honest. 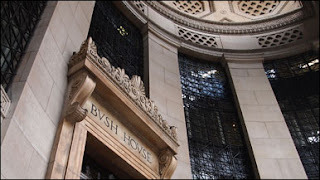 It's a week ago since the BBC World Service broadcast from a special tent inside Bush House. 7 days is a magic time in UK public broadcasting, because after a week a lot of content expires and is no longer available. And that's started to become the case already with the programmes from the tent. Yes, they are still up there as streams, but the Mp3 version of the interview with Attenborough has gone. 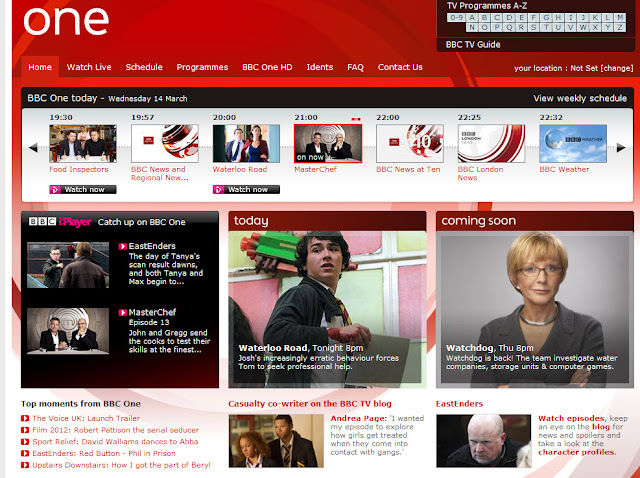 And why is the two part programme on Bush House with John Tusa on a different page altogether, mixed with the infamous announcement of the drastic cuts to World Service in January 2011? BBC World Service has great content. But you have to really consume it on the day of transmission. Finding stuff, in context, especially a few months later is difficult, if not impossible. 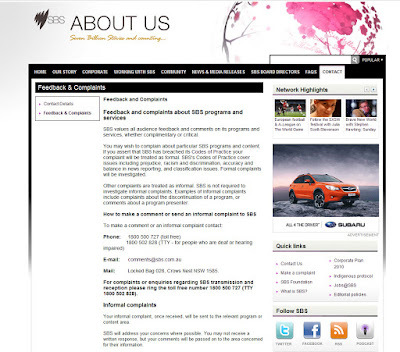 In fact a lot of useful stuff (like extended news bulletins are not available as an archive). That's where a rewind button on the digital radio is rather useful. I found the 2 hr Newshour special on the future of international broadcasting (as billed) was fascinating. 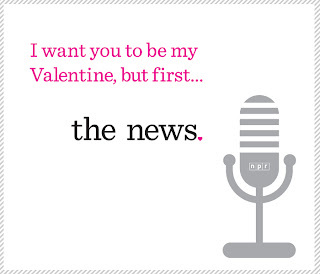 Lyse Doucet described it more accurately at the start of the programme as the future of international news. Major difference. 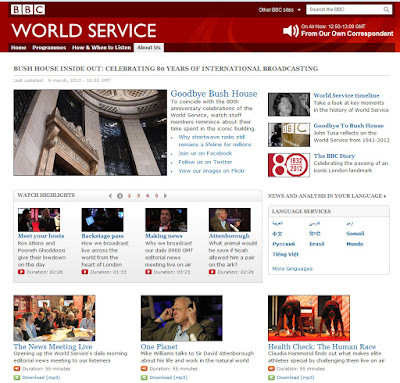 It's clear that the BBC World Service has a clear vision of what it wants to do as a news organisation. 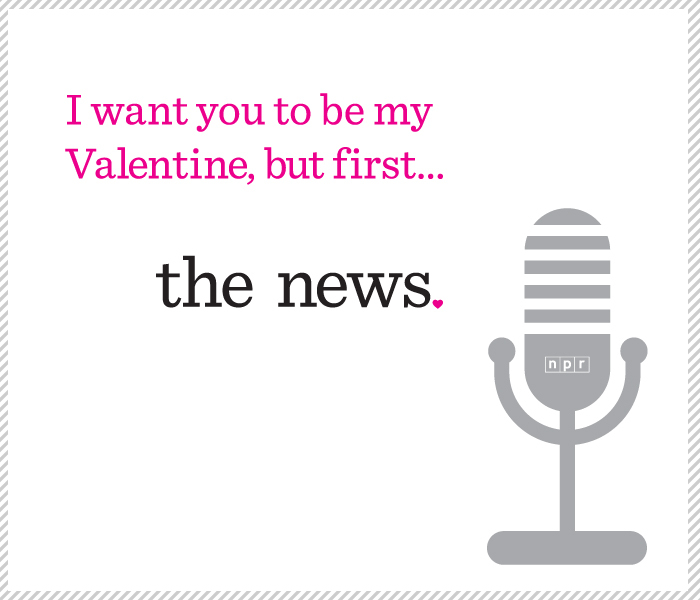 I was left rather confused as to what it really wants to do with radio, especially features and anything that is not "rolling news". To me, the future needs to be hybrid. And a coherent mix of radio, TV and online. Radio is awful for sharing lists of facts (better off using a map during an emergency), but it's much better at gathering, sharing and debating opinions. Especially in countries where cameras are inhibiting people from speaking frankly, radio could be doing a lot more to gather those thoughts. Watched with interest the experiments with audio that Al Jazeera did in Moscow. Thought they might be using audio because people were afraid to speak openly. But then they posted pictures with the audio which defeated the object. I would have mapped the video clips in that case. Where are they taking BBC World Service? Now that BBC World Service is moving back to broadcasting house at the top of Regent's Street, YouTube is starting to show us glimpses of the their new home. Skip through the exterior shots (first three minutes) to take a peek inside. Looks impressive, especially the use of daylight. Wonder it will sound like acoustically when everyone has moved it? When I first looked at the plans I thought it might be like working inside the cone of a giant loudspeaker (complete with the whispering gallery effect that you get at St Paul's cathedral). But apparently that's not the case. Ever wondered what the Latin text above the entrance at the BBC Langham entrance actually means? I always thought that was a trick question BBC recruiters might ask back in the 1980's. Remember looking it up one lazy Sunday afternoon. But then forgot about it. Until I passed that way again and see that they have refurbished the place again. So let's bang the text into Google Translate. TEMPLUM HOC ARTIUM ET MUSARUM ANNO DOMINI MCMXXXI RECTORE JOHANNI REITH PRIMI DEDICANT GUBERNATORES PRECANTES UT MESSEM BONAM BONA PROFERAT SEMENTIS UT IMMUNDA OMNIA ET INIMICA PACI EXPELLANTUR UT QUAECUNQUE PULCHRA SUNT ET SINCERA QUACUNQUE BONAE FAMAE AD HAEC AVREM INCLINANS POPULUS VIRTUTIS ET SAPIENTIAE SEMITAM INSISTAT. This area of the year 1931, rector of the Arts and the Muses JOHN DEDICATES REITH the first Governors of prayer as the harvest to bring forth GOOD IN ALL PLANTING places against the peace be driven out so that all things are beautiful and sincere good name SOME PEOPLE TO THIS AVREM bowing of virtue and wisdom PATH is set up. A great site by Robert Beckwith comes to the rescue and provides photos of the original hall and what must have been the original English text that some whiz put into Latin. This Temple of the Arts and Muses is dedicated to Almighty God by the first Governors of Broadcasting in the year 1931, Sir John Reith being Director- General. It is their prayer that good seed sown may bring forth a good harvest, that all things hostile to peace or purity may be banished from this house, and that the people, inclining their ear to whatsoever things are beautiful and honest and of good report, may tread the path of wisdom and uprightness. The Dutch Broadcast magazine reports this morning (in Dutch) that negotiators from the political parties in power at the moment (VVD, CDA and PVV) have started three weeks of intense negotiations on how to make another round of cuts in public spending. They won't be saying anything for another three weeks (officially) but they have (of course) already let slip that another round of budget cuts in public service broadcasting are on the cards. Perhaps another 100 million Euro will be taken away in 2013, on top of the 200 million they cut out of of regional, national and international broadcasting for next year. In the case of external broadcasting, they decimated the budget of Radio Nederland Wereldomroep bringing it down from 46 to 14 million Euro. It may well not even be that in the end. 7? 5? 0 million? It's looking that way for 2013. Yes, cuts were needed in public broadcasting which under the present ludicrous (yet still unique) system of public production companies has never been further away from its public. 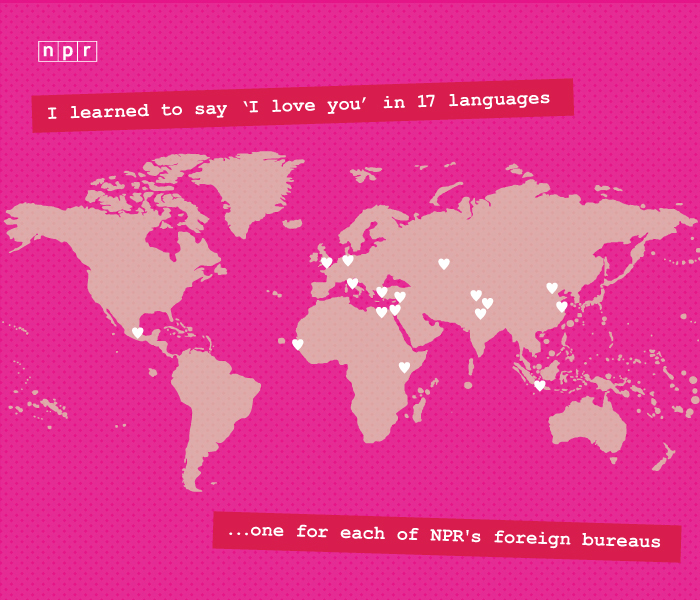 Unlike neighbouring countries, there is no independent body which allows citizens to influence the overall policy of public service broadcasting. There is no dialogue with those who pay for the privilege of watching and listening to (mostly) bland magazine shows spread over far too many channels. 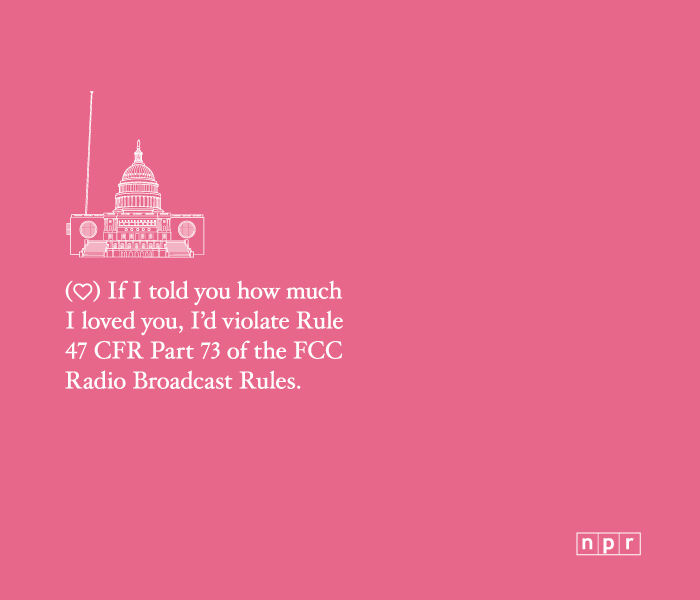 Yes, public broadcasting has maintained reasonable market shares; for the time being. But the current senior management teams have done little to prepare their staff for the role of public broadcasting in the most austere times we are about to witness probably in a century. And when it comes to understanding what is happening in the digital household of the future, it's clear to me that they haven't a clue. No, most people don't want to live in a shop, with sales-people on every screen. And how many searches for talent can we tolerate in a lifetime? I still meet mini-media moguls in Hilversum who are spending as though they were working in San Francisco. "Yes, cuts should happen - everywhere except in my programme". It reminds me of what went wrong in the Netherlands just before the great floods of 1953, when no-one anticipated that stronger, coherent sea defences were needed. It's certainly calm before the storm. But, as long as the vision in Hilversum is traditional television, the weaker the argument towards the henchmen in the Hague - and the Dutch public who pay for it all through government taxation rather than a licence fee. I'm sure the politicians have already decided. Balancing the budget is the excuse needed to press the accelerator pedal. If Hilversum doesn't anticipate what's coming in programme and public value terms, then it doesn't have a future. Because without understanding and winning public support for it's future purpose, it has little influence with the politicians and, ultimately, no point. 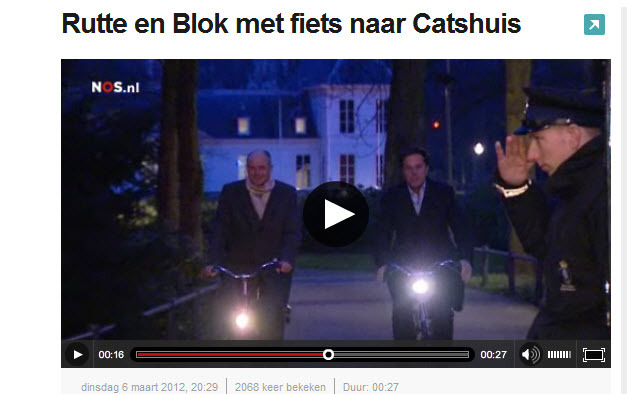 So is anyone in Dutch public broadcasting working on a serious Plan B? I'm afraid that Radio Pakistan will have to present a much better plan to explain how it will make programmes in the public interest far more efficiently than it does now. Government radio stations in South Asia have become notorious in professional circles for being bureaucratic, inefficient and vastly over-staffed. First the programme plan, then the finance, I would say. Looking at the Radio Pakistan website it looks like they have got carried about with new platforms like web-streaming. I was the only one watching when I checked (see below). Pakistan has a rich heritage and an important role in our world. 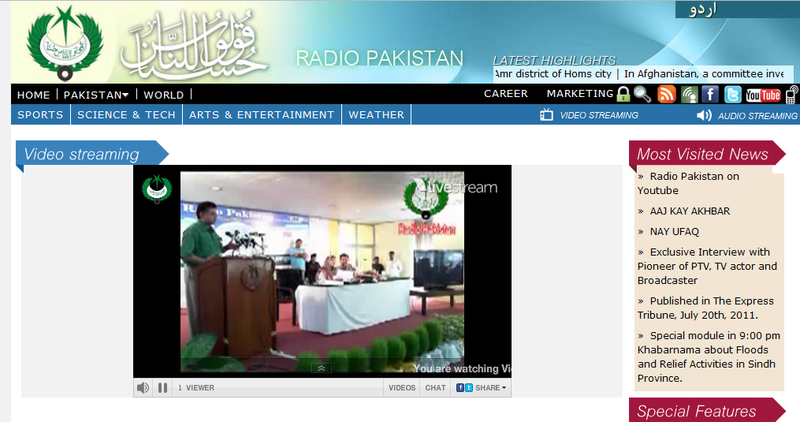 But Radio Pakistan needs to do a lot differently. But civil servants rarely make passionate, engaging broadcasters. 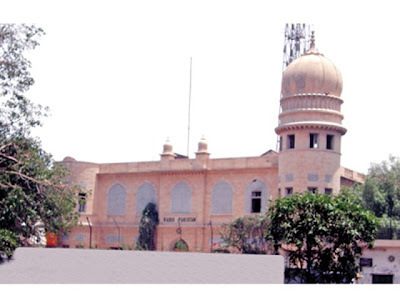 Radio Pakistan is “facing deficit of over Rs2 billion [around US$22 million] and urgently needs funds to improve its vital services,” according to the Director General of the Pakistan Broadcasting Corporation, Murtaza Solangi. Addressing a news conference on March 3rd, he urged civil society and media to extend full support in making Radio Pakistan a financially viable and efficient national institution. He said the proposal of raising funds for Radio Pakistan by imposing levy of two percent on mobile phone cards has been floated to bring PBC out of financial crunch. Mr Solangi said if the proposal is approved by the parliament in the new Federal Budget for fiscal year 2012-13 it would help Radio Pakistan to upgrade its services and improve quality of programmes. Pakistan has already worked out a method to bring in extra revenue of US$44 million dollars, according to Pakistan's Express Tribune. In a bid to pull the ailing Radio Pakistan out of a deep financial crunch, a National Assembly standing committee approved recommendations by the Pakistan Broadcasting Corporation (PBC) to collect 2% tax on every recharge from cellular phone users and a one-time fee on the purchase of new vehicles. The National Assembly Standing Committee on Broadcasting and Information on Thursday March 1st approved the recommendations in a bid to generate additional funds for the state institution now tottering on the brink. The plan envisages a broadcast cess of 2% on users of cellular phones and one-time cess of Rs4,000 per unit on sale of all categories of motor vehicles which are equipped with radio receivers. The meeting, presided by MNA Belum Hasnain, was informed by Radio Pakistan Director General Murtaza Solangi that they have forwarded a road map to the Ministry of Information as well as the finance ministry to nurse the PBC back to financial health. “We are facing a financial crunch and cannot survive without the generation of new revenue for the state-run radio,” said Solangi. The government-run radio has 3.5 million minutes of valuable recording in archives which is being digitalised, he informed the committee, adding that 100,000 minutes have already been digitalised and made available on YouTube channel the PBC’s. The meeting, in consultation with other members, supported the idea to collect 2% revenue on every recharge from cellular users which would enable Radio Pakistan to collect Rs4 billion per annum. Hopefully all this re-discovered digital archive material will be made accessible to the public who have paid for it, and that Radio Pakistan producers will find ways to put this archive material into a modern context. Just putting this stuff on back on (digital) shelves means it's accessible to no-one. On the train to Brussels. 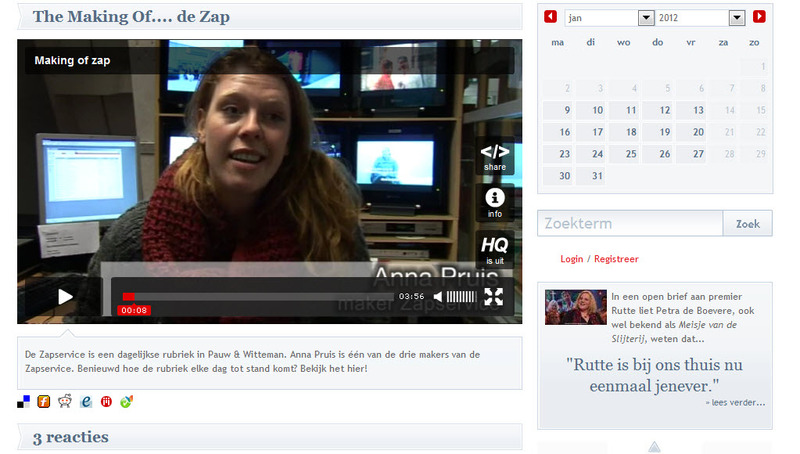 I'm one of the guest speakers at VRT's Wild Radio Day. Thalys 2nd class has horrible intermittent paid-for Wi-Fi, so we won't be using that. So what's already loaded onto the iPad? Quickly discover older editions of the best podcast on the planet for those interested in radio promotions and Sound Design. It's Steve Martin's Earshot Creative Review ("sponsored by Hobsons". 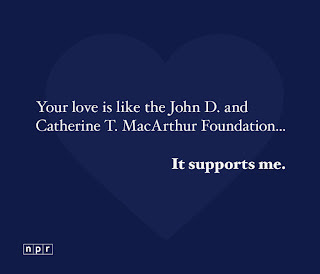 The podcast works because it is crafted with care, and mixes the best talent working in (mainly) English language commercial and public radio around the world. Steve cuts through the marketing hype, celebrating those who really know how to put radio in the minds of it's listeners. Bit surprised that this campaign Faces for Radio by Absolute Radio in the UK didn't score higher on YouTube. Perhaps it was hosted more successfully elsewhere? Or perhaps it's living up to the joke - that these people look like freaks on camera, but sound like God on the radio! They do. Don't take my word for it. Check it out. 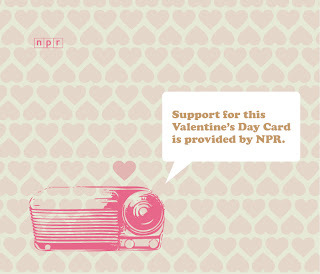 Chanced upon a site with NPR Valentines cards, rather too late for this year. I wonder how their campaign went? My feeling was that the cards with lines connected programmes and to the radio itself were amusing, the ones connected to money and NPR's structure were contrived and lame. 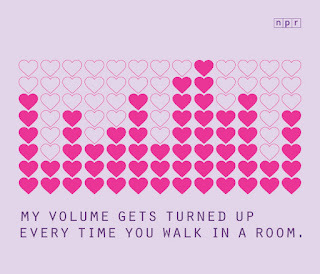 Would you send any of these to a loved one though? 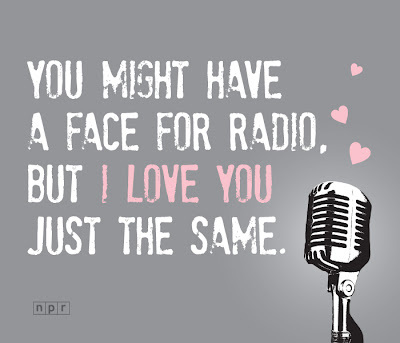 Actually, I think Absolute Radio in the UK owns the joke about having a face for radio, at least for me. 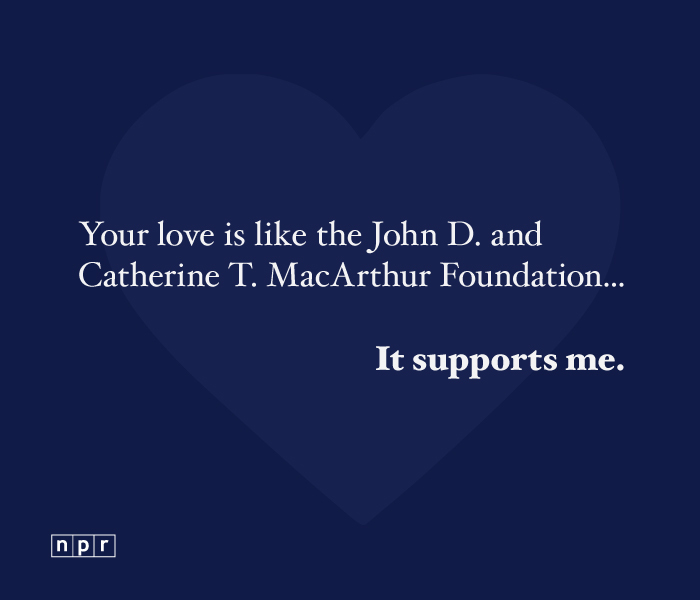 And now back to National Public Radio in Washington. And then the fun really goes wrong.... What were they thinking?